PANDORA Lock Your Promise Necklace. 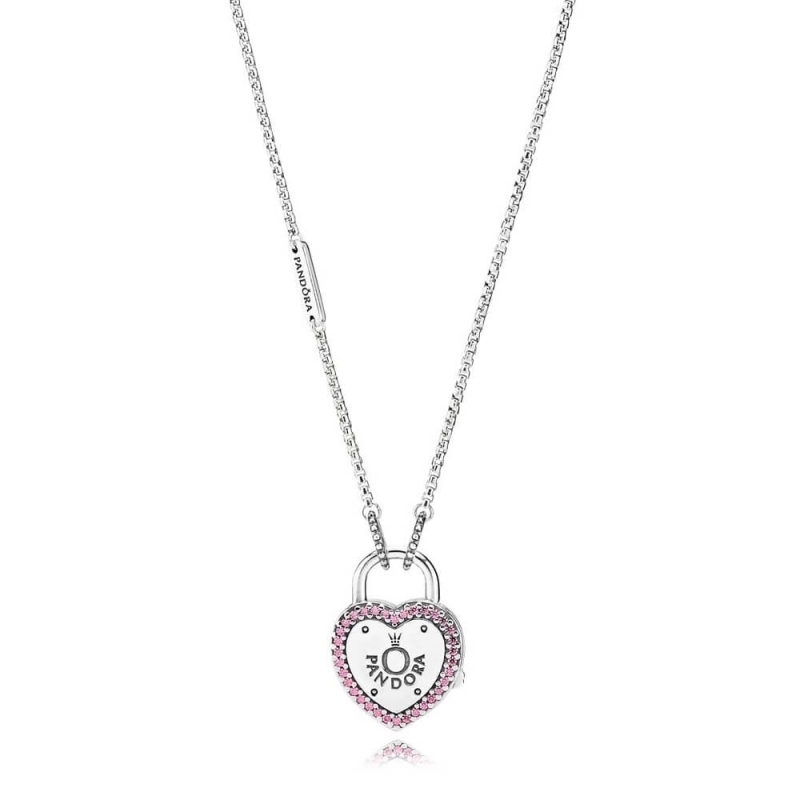 Versatile and effortlessly stylish, this gorgeous lock your promise necklace is made from sterling silver and features a heart-shaped padlock as it's focal point. The padlock clasp is engraved with the iconic PANDORA logo, and adorned with 34 individually set pink cubic zirconia stones.